The worst way to find out that your boyfriend is already married is to see it on the news. The only way it could be worse than that is if his wife died under suspicious circumstances. Unfortunately for criminal defense attorney Nicole Fitzhenry-Dawes, that’s exactly what happens. Her now ex-boyfriend insists he’s innocent, and he begs Nicole to find out who really killed his wife. She’d like to simply leave him to his fate, but her sense of justice won’t allow it. 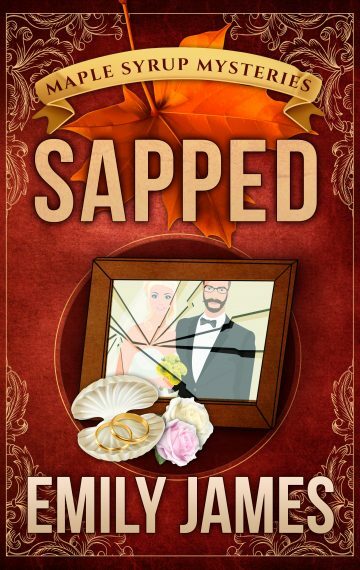 Sapped is the prequel to Emily James’ Maple Syrup Mysteries series. If you love small-town settings, quirky characters, and a dollop of romance, then you’ll want to buy this new amateur sleuth mystery series today!